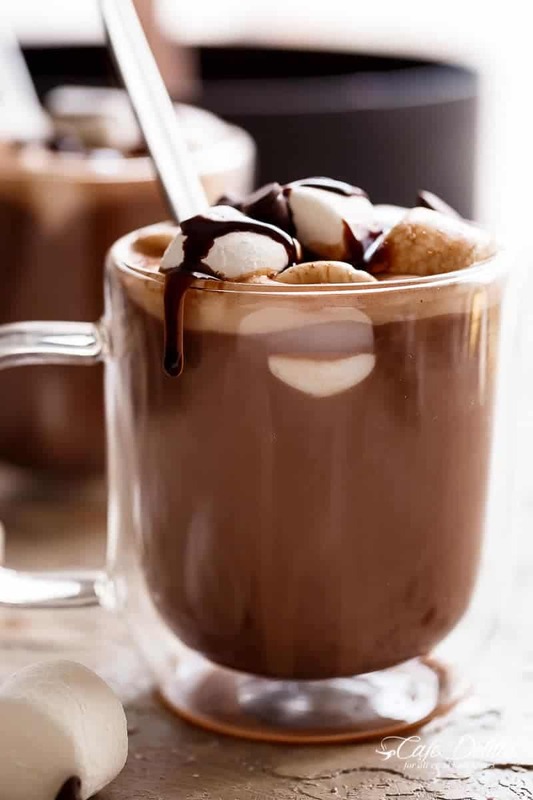 Our Hot Chocolate recipe is decadently rich and creamy without using any heavy cream or sweetened condensed milk, and halving the calories without sacrificing flavour! A special ingredient Hot Chocolate that people will be asking, pleading and begging you for your ‘secret’. 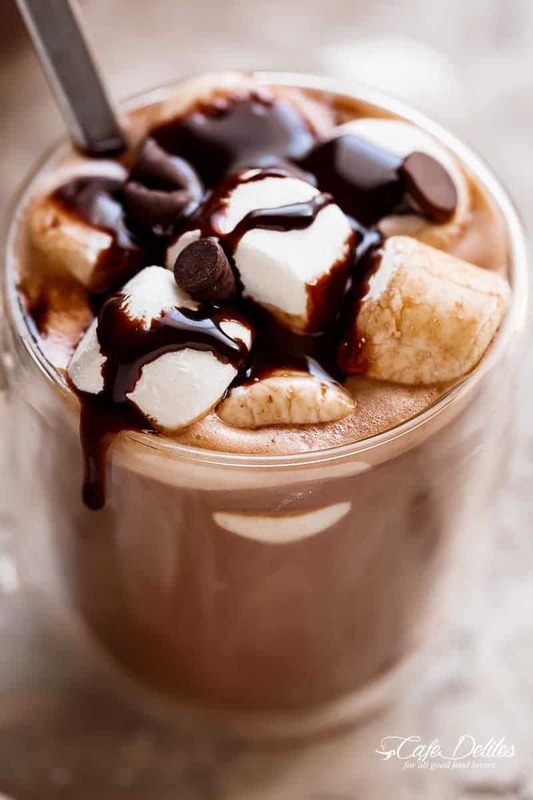 A hot chocolate or hot cocoa recipe so simple, using minimal ingredients while keeping a decadent flavour so hard to resist, they’ll be coming back for seconds! We have been making this hot chocolate for so many years, way back before hot chocolate mixes were any good. Even today, this hot chocolate STILL beats the flavour pants off of any powder mix. I don’t think you can handle this. Evaporated milk. That’s it. That’s the BIG secret, because no one would ever guess in a gazillion million years you’ve used it. This hot chocolate tastes like it has a gallon of heavy cream or vanilla ice cream mixed through it. Try this on any hot chocolate fan, and they will be grabbing you by your shirt demanding the recipe. IT’S EXTREMELY ADDICTIVE. This Special Ingredient Hot Chocolate is so decadently rich and creamy, they'll be begging you for your secret! 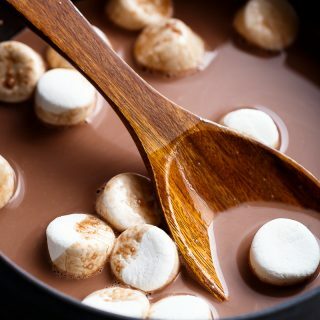 Whisk together the milk, cocoa powder and sugar in a medium-sized saucepan, over medium heat. When the cocoa powder has dissolved and the ingredients have combined together, bring the milk to a simmer. Reduce heat and continue steaming for a further 5 minutes. Stir in the evaporated milk and allow it to heat through the cocoa milk for a further 2 minutes, and serve. *If you like a rich hot chocolate, use a dark cocoa powder or dutch cocoa powder. Start with 1/3 cup, and add more as needed. I find 1/2 cup rich enough using a dark cocoa powder, but please adjust to your tastes. 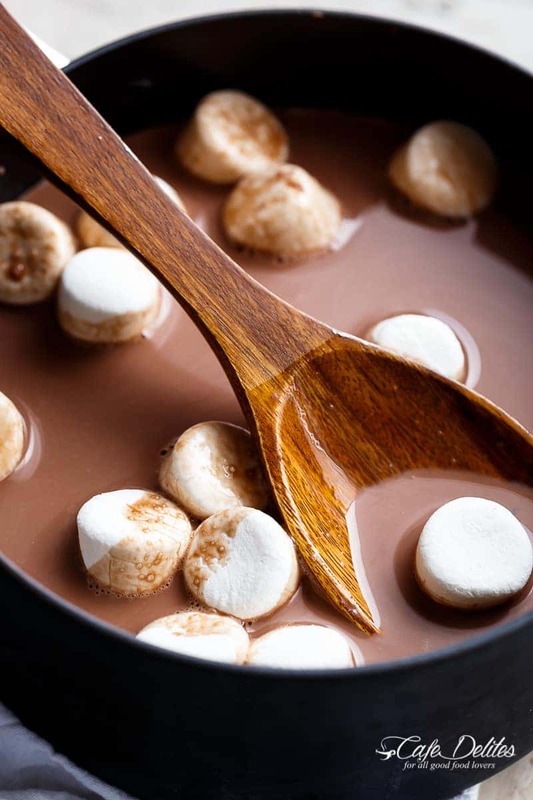 If you like a milder hot chocolate, use a light coloured cocoa powder such as Hershey's, and adjust as above. © 2016, CAFE DELITES. All rights reserved. All images & content are copyright protected. Please do not use my images without prior permission. If you want to share this recipe, please provide a link back to this post for the original recipe. Absolutely Amazing! To my special cup, I added a shot of peppermint schnapps and sat by the fire. Wonderful!